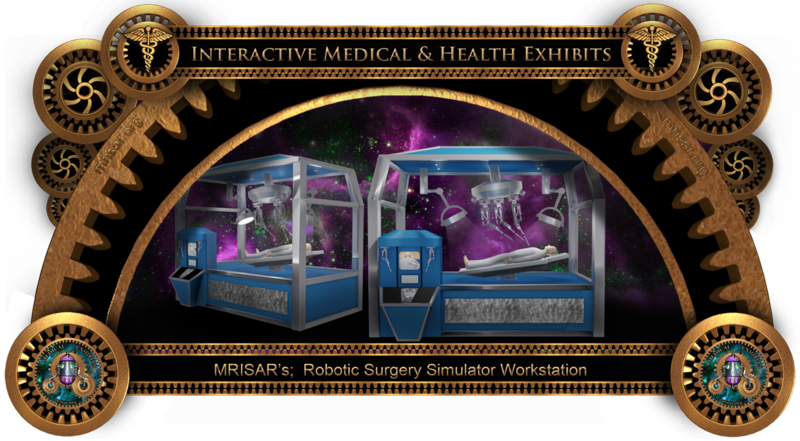 This exhibit is a surgical robotics activity station. Students try their skill at operating dexterous manipulators with specific medical skilled activity goals. The dexterous manipulators arms are housed in an exhibit that resembles an operating room. The accessible controls are at the front of the exhibit for students to use to manipulate the arms. A monitor allows the user to see a magnified view of what the arms are doing. 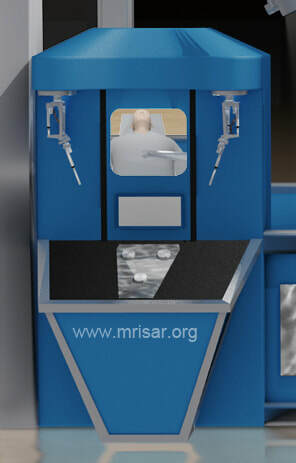 The items they work on with the dexterous manipulators are naturally made of plastic and rubber representations of surgical elements. The activities are a practical representation of surgical applications but not very graphic with respect to younger students sensibilities. 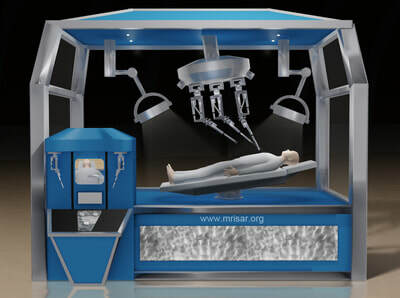 The goal of the activities is to experience and build skill and understandings of remote manipulator applications which relate to medical and industrial applications. 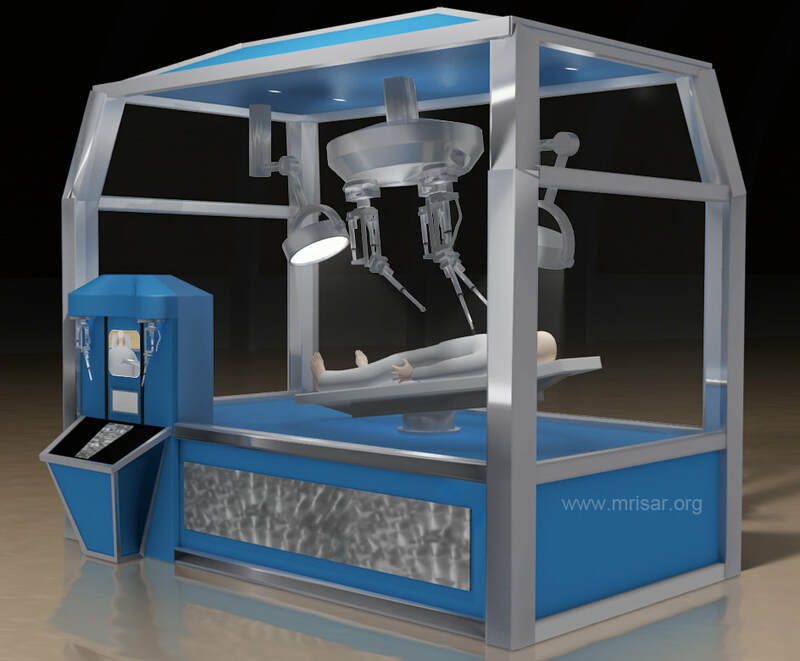 This exhibit illustrates the more technologically advanced aspects of telepresence as the basis of how the exhibit operates, but the educational range of material also conveys the aspects of the mechanical linkage systems as well. 12’ x 8’ foot print x 11’ high.